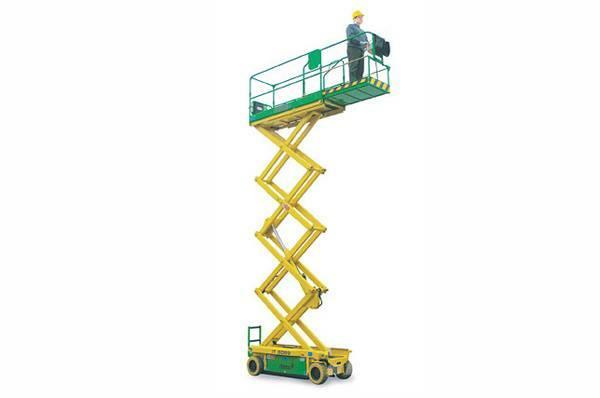 Autres accessoires Rear hydraulic drive with electrical controls on platform. • Negative parking brakes with hydraulic disengagement. • Manual platform extension 0.90 m.
• Manual emergency lowering device. • Battery charger with automatic switch-off 24 V – 40 A. • Inclinometer with motion blocking device and alarms. • Mechanical wheel drive release for emergency hauling. • Rubber non-marking tyres 16x6-8”. • Battery control system with low-voltage cut-out protection.